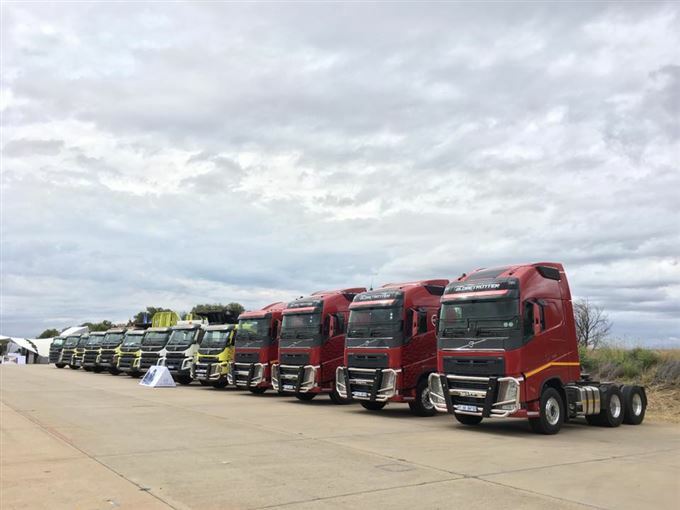 Volvo Trucks' presence in the construction industry stems from the brand's history in the Swedish logging business, where massive loads need to be taken long distances, through some really tough terrain. 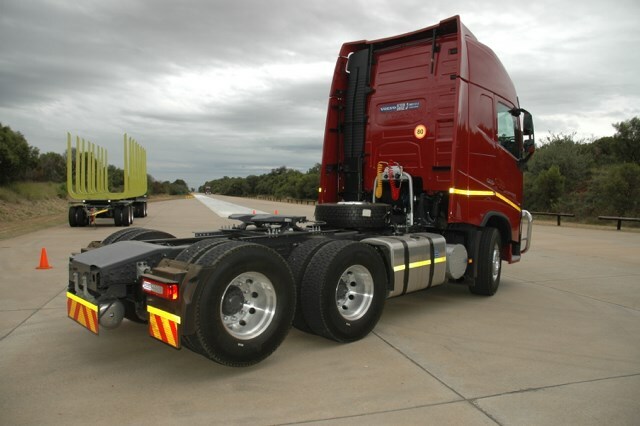 This has led to some very pragmatic solutions being developed, aimed at making the vehicles not only more capable and reliable, but also able to offer more to fleet owners, in terms of efficiency and profitability. 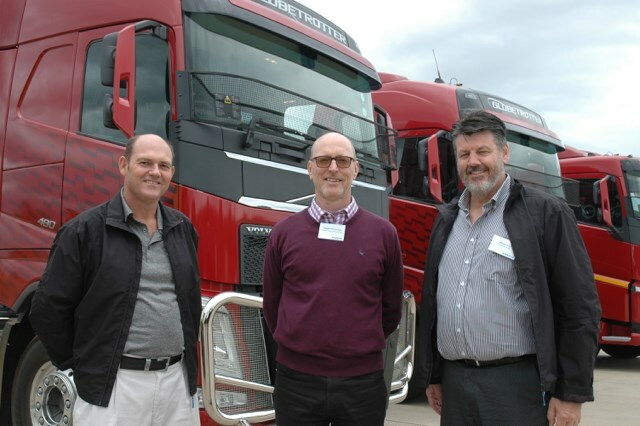 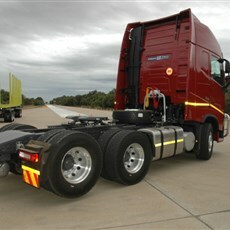 The three main focus areas for the event held out at Gerotek on Wednesday and Thursday was the demonstration of the new dynamic steering function, the crawler gear options for their I-Shift gearbox, and the tandem wheel-raising functions. 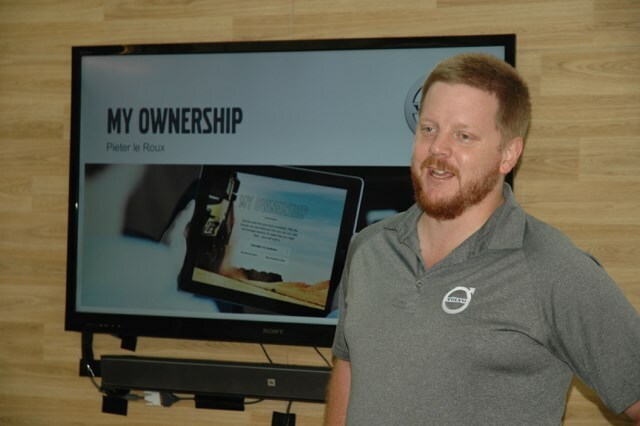 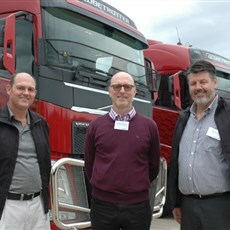 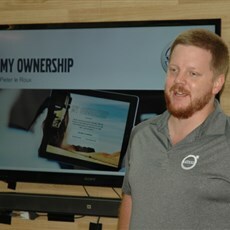 A new tablet-based vehicle or fleet management tool was also demonstrated which will offer realtime stats and insight into performance of each vehicle on a fleet and the impact on their profitability. 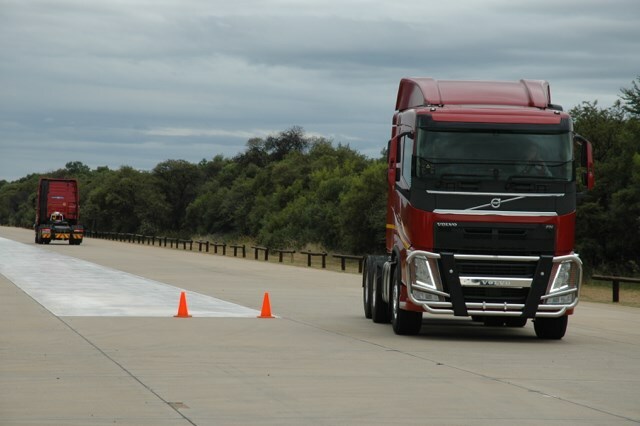 We will feature a full story in the upcoming May June edition of AutoForum, but see the links below for more of Volvos fantastic viral demo videos on Youtube. 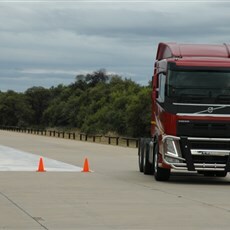 The 750vs750 video is just crazy and Volvo trucks actually got “Charlie” the hamster to steer a truck out of a working quarry with their dynamic steering system!